Want to try dental tourism away from the beach resorts? 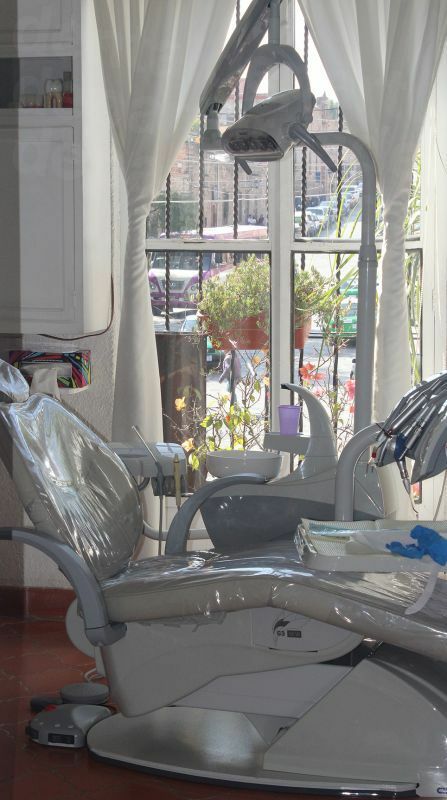 Visit our dentists in San Miguel de Allende for high-quality, affordable dental care in probably the most historically significant of all Mexico’s beautiful old colonial towns and cities. It may not have beaches, or the ocean, but San Miguel de Allende is a place visitors don’t want to leave – ever. In fact, it’s estimated that around 10% of the population are ex-pats. Located in the state of Guanajuato, San Miguel de Allende was the first municipality to declare independence from Spanish rule during the Mexican War of Independence. At the beginning of last century it was in danger of becoming a ghost town, but foreign artists began to move in, inspired by its baroque/neoclassical architecture. Since then the town has continued to attract large numbers of artists, writers and foreign retirees, as well as tourists, and has a distinctly Bohemian vibe about it with its art galleries, boutique hotels and patio restaurants. The town’s well-preserved historic center is one of its main appeals with charming 17th and 18th century buildings. Cobblestone streets, quaint courtyards and the central zocalo, called the Jardin Principal, invite you on long, leisurely strolls to discover the town on foot. Its craft shops, spas, fine dining, traditional Mexican cuisine, bars and museums certainly provide enough pit-stops to prevent you from getting very far – but this is all part of San Miguel’s natural tranquility. And when you are thoroughly relaxed and fancy a bit of excitement, just outside town the semi-desert landscape beckons with adventure. The spectacular Coyote Canyon offers stunning scenery and all sorts of activities – and there are haciendas, thermal spas, and other nearby towns offering unique experiences. If you are considering a dental trip, expect our dentists in San Miguel de Allende to provide you with expert treatment, in modern clinics at prices around 70% less than at home. Now that is something to be relaxed about. 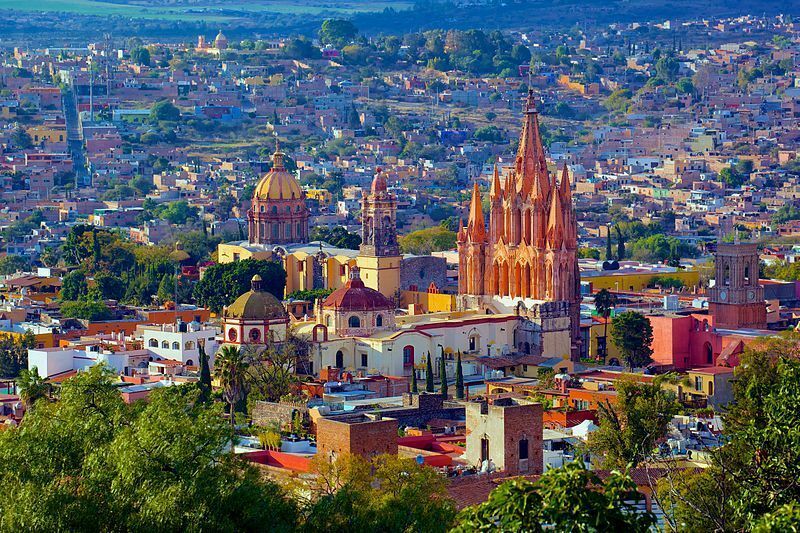 San Miguel de Allende is in Central Mexico, on the eastern side of the state of Guanajuato, near Dolores Hidalgo and Salamanca. 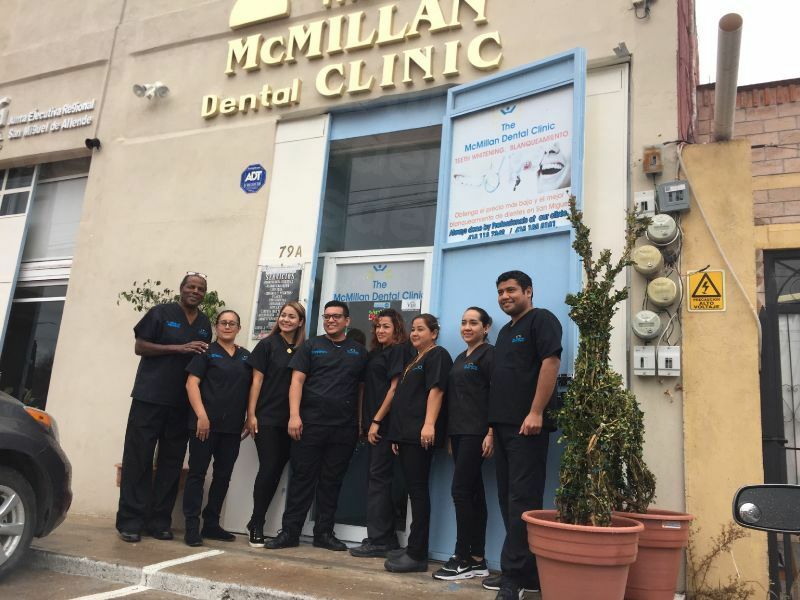 Why visit a dentist in San Miguel de Allende? You would be forgiven for thinking Mexico is all about the two extremes of vacation beach resorts and gang warfare, as these seem to be the only things that are regularly publicized about the country. However, Mexico is a vast country and offers much, much more. While not completely off the tourist track, towns such as San Miguel de Allende don’t attract the huge numbers the coastal resorts do, but deliver a much more relaxed and sophisticated experience. If lying on a beach is not your idea of fun this gem of a town could well be. This is not some dust-covered little backwater. It is a vibrant town with a carefree attitude and full of individuality – from the local artisans who sell their wares in bijoux little craft shops to the independent boutique hotels who deliver high on luxury and services. Similarly, medical and dental services here too are of a good standard, providing reliable services. 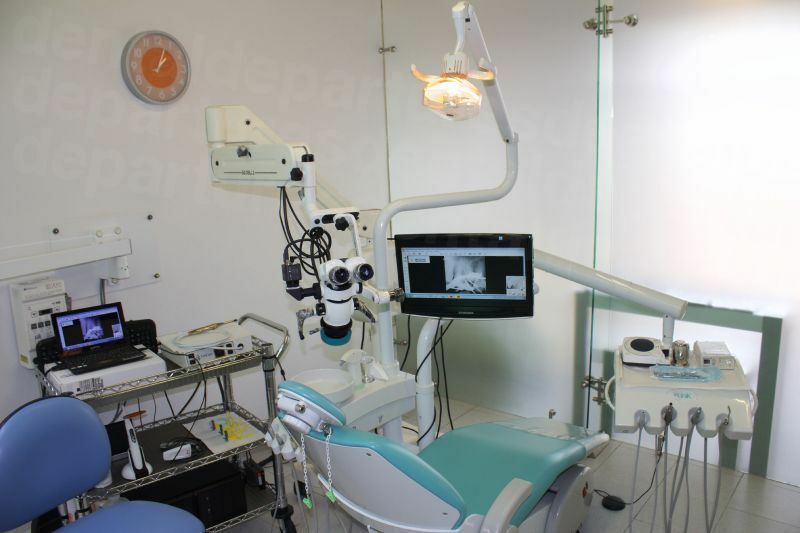 Modern dentists in Mexico are generally trained as well as their counterparts in the United States, especially those who are treating international patients. Gone are the days when dentists in Mexico would perform all sorts of dental specialties, even though they had no training (although some still do, which is why it is important to do your research). You will find that many dentists in Mexico do specialist training in the United States, which not only gives them the qualification but also makes them eligible to join the American Dental Association. Obviously, this means they then abide by the same rules and regulations as if they were a US dentist, which is reassuring to know they meet and maintain the same standards. Some beautiful accommodation options await in San Miguel de Allende to suit all budgets. Many are situated in and around the historic square, but there are also plenty just outside of town in the surrounding countryside for those who really want to get away from it all. 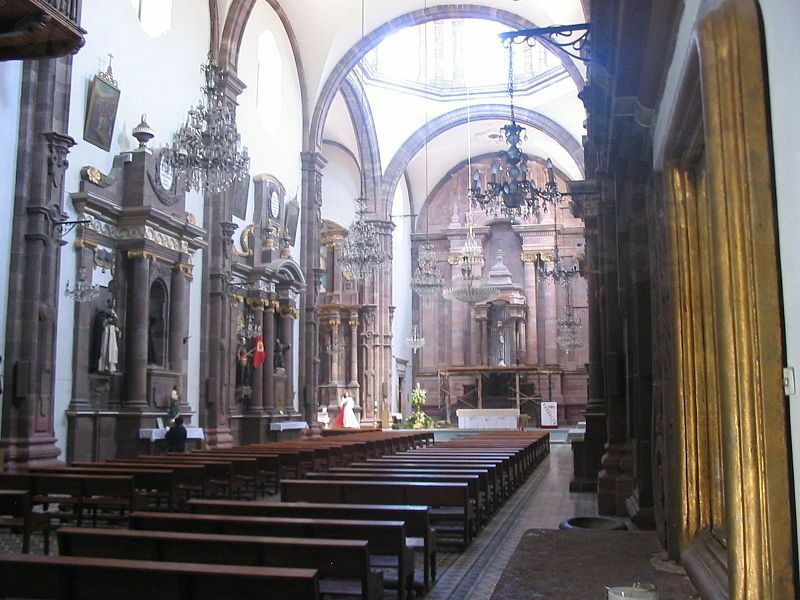 Yes – there are no US Government travel advisory warnings for San Miguel de Allende, or the state of Guanajuato – so you can travel the state in complete confidence. Dental care in San Miguel de Allende can be just as good as you’ll find at home, if not more so – but we always recommend that you do some research first on your dentist. We have found the standard of dental care throughout Mexico to be very good, especially with modern dentists who treat overseas patients. Of course, this may not always be the case, which is why you should do a little work to find out what you can. Dental Departures background checks all our dentists, looking into criminal and legal records, as well as verifying qualifications, professional memberships and experience. We also visit our clinics and, again, the standards are high. Internationally accepted hygiene standards are part of routine protocols adapted by clinic to ensure the safety of patients; technology is state-of-the-art and the same branded materials used in the United States are used here, not inferior quality ones. Dental care here can be excellent – just make sure you book with someone trustworthy. Warranties and guarantees are offered as standard by our dentists throughout Guanajuato, although they vary from clinic to clinic and, of course, by procedure. In the rare event that there is an issue with your treatment then it will be put right under the clinic’s warranty. This includes any materials used, as well as the dentist’s work. If you do have a problem you can either speak to us about it (and we will contact the dentist on your behalf), or the dentist directly. Whichever you decide is fine, but we are more than happy to act as your advocate if you are nervous at all about approaching the dentist. It is worth bearing in mind that there is a risk involved in any kind of medical or dental procedure, even if it isn’t anybody’s fault. If you are worried about the expense of having to travel back to a dentist in this event you can at least put your mind at rest by taking out low-cost insurance cover, which will at least cover your travel and accommodation expenses. With the large expat community here you will find English is widely spoken throughout San Miguel de Allende. Our dentists all accept US dollars, but you can check out the individual clinic listings to see what other methods of payment your dentist accepts, such as personal/traveler checks, debit/credit cards and bank transfers. Please note credit card payments may be subject to an additional processing fee of between 3-4%. It is unlikely your dentist in San Miguel de Allende will be able to accept US or Canadian insurance. However, if your insurance provider offers ‘out-of-network’ expenses you may be able to claim your treatment costs back once you have returned home. Phone your insurance company and check, making sure you get the paperwork to bring with you if they do. You can visit our dentists at any time of the year as they are open all year round. San Miguel de Allende also has a pleasant climate throughout most of the year too. San Migeul de Allende is an old, historic town and getting around in a wheelchair maybe problematical in some parts. Narrow, cobblestoned streets, steep steps and a lack of sidewalks could be challenging. Speak with us if you may have difficulties with mobility as we can always find some way of getting you to one of our dentists – many of whom have pick-up and drop off services, as well as having wheelchar-friendly offices. The standard method of pain relief in Mexico is local anesthesia, rather than sedation. If you want sedation most of our dentists are happy to arrange this, but it will have to be booked in advance as the services of an anesthesiologist are required. This will incur an additional charge of around $400. You will also need to order prescription medication such as Valium in advance too. What else is there to do in San Miguel de Allende? Just moments away in a taxi from the center of town (you can walk, but it is steep) is El Charco del Ingenio. This is a 300-acre nature reserve featuring a botanical garden, reservoir, canyon and the remnants of a waterworks system from the colonial-era. There are three different ecosystems here, supporting a diversity of flora and fauna, and one of the largest collections of succulents in Mexico is housed in the botanical garden. Guided walks are offered, as well as an evening ceremony held at full moon. The reserve also features a shop stocked with books, handicrafts, plants and organic goods, as well as an open-air café. Just south-west of the town is the pre-columbian archaeological site of Canada de la Virgen – a collection of pyramids and other structures occupied between 540 and 1050. This fascinating site contains, amongst other things, a horizontal clock, an observatory and a burial ground. A chance discovery shows that the site aligns with the planets at certain times related to the Otomi calendar, the people who are thought to have built it. Not far away from this site is the Coyote Canyon, and those seeking a little thrills and adventure may well find it here. Horse-riding is one of the most popular pursuits – exploring the canyon, the pyramids and even the town. There are also overnight camping trips and a day at the ranch, if you ever fancied being a cowboy. No experience is necessary as you will be given lightning instruction on how to control your four-legged friend – and the age range? Apparently there have been kids as young as 1 and adults as old as 83! If four legs doesn’t appeal then maybe four wheels will – there are All Terrain Vehicle (ATV) tours in San Miguel’s surrounding hills, which can be as bumpy or as smooth as you like. Perhaps the smoothest ride you’ll get is in a hot air balloon. Early morning flights take in San Miguel and the surrounding countryside, followed by breakfast. Flights are early as the thermals as the day warms up make it unstable. San Miguel may have a large expat community but it celebrates festivals with the same verve and passion as anywhere else in Mexico: from the reserved Festival de Musica Barroca in March, where classical music can be heard throughout the town, to La Fiesta de los Locos (Festival of the Crazy People) in June with its outlandish costumes, parades, carnival atmosphere and general silliness. The nearest international airports are Aeropuerto del Bajio (BJX) around 70 miles (110 kms) away from San Miguel and Aeropuerto Internacional de Queretaro (QRO), about 45 miles (75 kms) away. Queretaro is recently opened, and flights tend to be more expensive rather than going to Mexico City (MEX) or BJX. Call our toll-free number or book an appointment for your dentist in San Miguel de Allende online. Dental Departures offers quality-checked dentists, real patient reviews and the best prices available with our guaranteed best price promise.